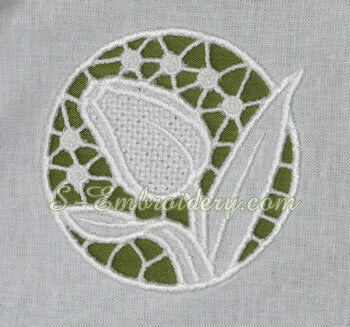 A set of 4 tulip cutwork machine embroidery designs. 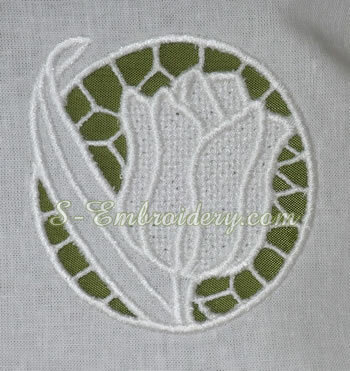 The nice tulips can be used in various machine embroidery projects for decorating e.g. table cloth, pillow cases, curtains, etc. 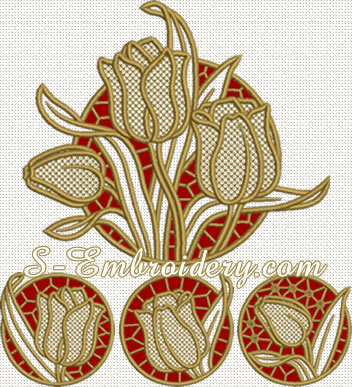 The largest design in this set has a size of 5.1 x 5.89 inches (129.6 x 149.6 mm) and will fit in 5x7 (130x180) hoops. The number of stitches is approximately 25,370. 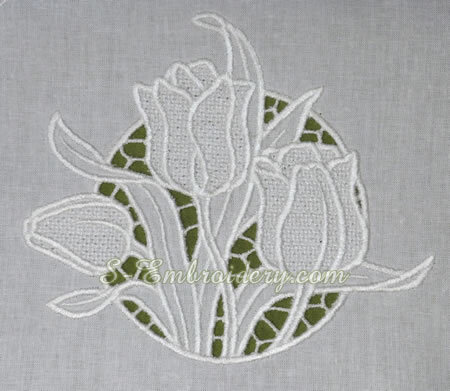 The 3 smaller designs have s size of 2.87x2.87 inches (73x73 mm)with a stitch count between 9,600 and 11,300. 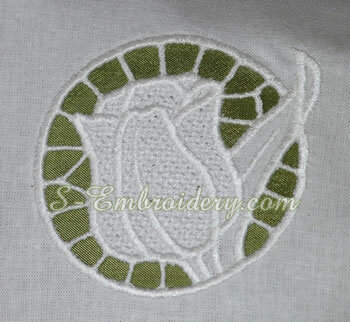 You receive 4 machine embroidery files and 2 PDFs with design information and instructions for doing cutwork machine embroidery designs. 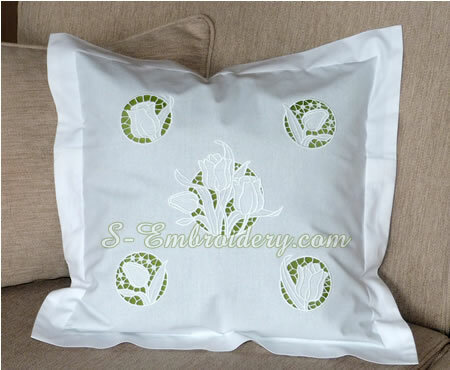 Note: The cutwork embroidery project (pillow case), featured on our web site, was created by uisng the 4 designs from this set and a mirrored copy of the #4 Tulip cutwork design.